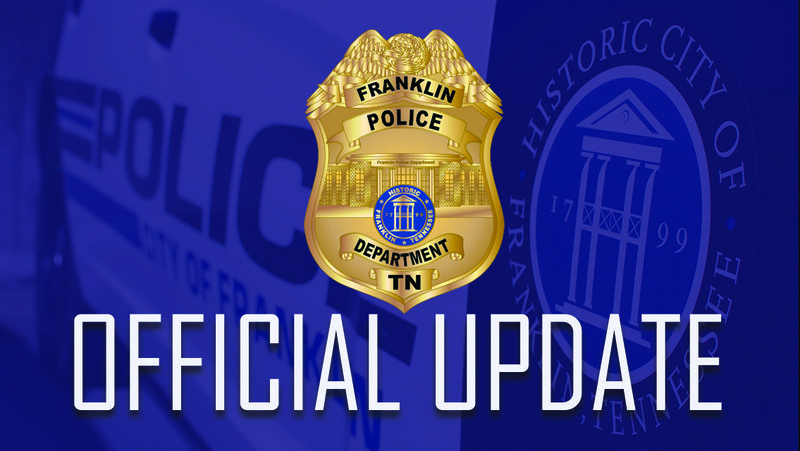 Early this evening, officers received information that a homicide suspect from a Sunday night shooting death on Antioch Pike in Nashville has connections to, and could possibly be hiding inside a vacant unit at 130 Seaboard Ln. The building is a multi-unit business complex. Officers surrounded the complex, evacuated area workers and requested FPD SWAT to respond. Members of the SWAT Team entered the vacant unit but did not locate the suspect. This is an ongoing Metro Police investigation. Further questions regarding this case should be referred to the MNPD. Now that the situation at this building has resolved, there is no known related threat in Franklin.